In 2016, the concern sold weapons worth $ 1,060mn. State Concern Ukroboronprom climbed up from 84th to 77th place in the world ranking of arms dealers, that the Stockholm Institute for Peace Studies SIPRI released on Monday, 11 December. According to SIPRI estimates, Ukroboronprom sales figures were at $ 1,060 mn in 2016, (95% of the total sales of the state holding ), which was $ 213 mn growth over the previous year. In the ranking, Ukrainian arms concern is neighbouring with the Turkish Aerospace Industries and the Russian engine manufacturer Ufa Engine-Building Production Association. American Lockheed Martin ($ 40.8 bn), Boeing ($ 29.5 bn) and Raytheon ($ 22.9 bn) top the SIPRI ranking. Sipri said that the global arms market in 2016 amounted to 374.8 bn dollars. The sales volume, which declined for five consecutive years, grew by almost 2% last year. The US accounts for 57.9% of global arms sales, Russia's share is 7.1%. "The economic difficulties that Russia faced in 2016 contributed to a slowdown in the growth of arms sales by Russian companies, said Siemon Wezeman, SIPRI senior researcher. 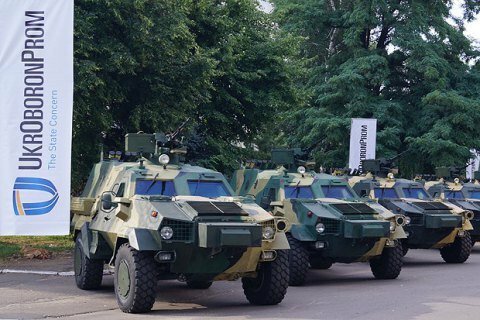 Ukroboronprom Concern was created by President Yanukovych in December 2010 with the goal of uniting the domestic enterprises of the defense industry complex. Today, it includes over one hundred plants.